Cross-sectional studies are commonly used in veterinary epidemiological research—particularly to measure infection prevalence and compare infection prevalence between certain subpopulations (for example, between animals under different management conditions). Calculating the sample size required for statistically robust results is an important part of designing such a study. A variety of free sample size calculators, including those in Ausvet’s Epitools, are available to do all the maths—you just need to choose the right calculators and guide them with a few inputs! Calculating the required sample size is an iterative process, and should always involve repeated calculations with inputs varied to their plausible limits. This will leave you with a range of required sample sizes to consider. The optimal sample size for your study will be informed by considering sample size calculations for statistically robust results, alongside logistics and budgetary considerations. This is discussed further at the end of the blog. Let’s explore the use of one of the Epitools listed in the flow chart above: “Sample size to estimate a true prevalence with an imperfect test”. 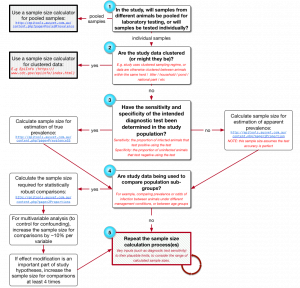 The conservative approach to choosing the sample size for your study may be to use the largest sample size estimate obtained from the calculations. the cost of available diagnostic tests per sample. For example, a pragmatic approach where samples are exceptionally difficult or expensive to obtain may be to use a sample size at the lower end of the range, identifying through the sample size calculation process how that may affect precision in prevalence estimates and statistical power in comparisons (if relevant). Alternatively, where samples are relatively cheap and easy to obtain, it may be more efficient to use a cheaper diagnostic test of lower sensitivity and/or specificity, and in doing so accept the relative increase in the required sample size, rather than use a highly accurate but substantially more expensive diagnostic test on fewer samples. But my study isn’t a cross-sectional study of infection prevalence! Do not fear! 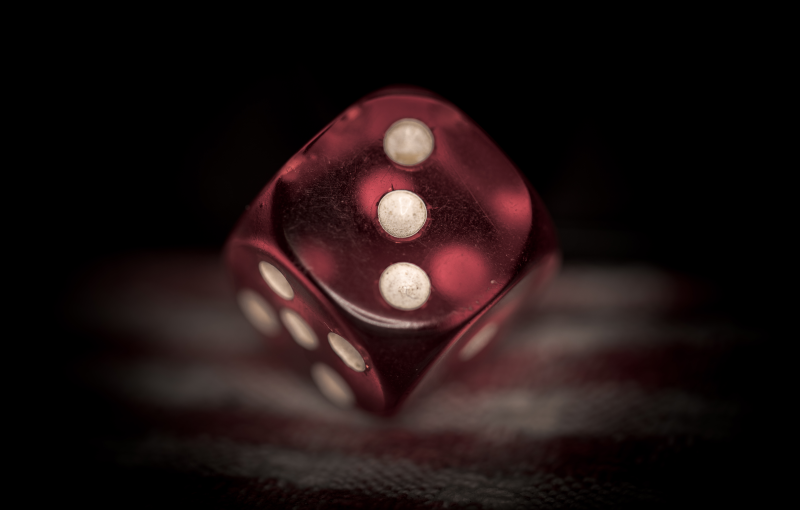 There are other Epitools to address sample size calculation for different types of observational studies (such as cohort and case-control studies) and different types of outcomes (such as numeric outcomes). They are available online (http://epitools.ausvet.com.au/content.php?page=SampleSize) and may be the subject of future blog posts! Ausvet consult and offer training on sample size calculation, as well as other aspects of study design, and data analysis and interpretation. Generic advice is offered in this post; more specific advice for particular projects is available through our services.